The global marketplace for healthcare-associated infections (HAIs) caused by Gram-negative bacteria across the seven major pharmaceutical markets * (7MM) is projected to exceed $3.6 billion in sales by 2026, at a Compound Annual Growth Rate (CAGR) of 10.8% from 2016–2026, according to GlobalData, a recognized leader in providing business information and analytics. The company’s latest report, ‘PharmaPoint: Healthcare-Associated Gram-Negative Infections – Global Drug Forecast and Market Analysis to 2026’ reveals that market growth will be dominated by the launch of multiple pipeline products, which will contribute a combined 73% of the sales across the 7MM in 2026. Due to the lack of novel scaffolds being developed over the last few decades and limited investments into antibiotic R&D in recent years, the prevalence of resistant Gram-negative bacteria, especially in the hospital setting, has increased significantly; antibiotic resistance is now considered a major threat to the life expectancy of current and future generations. The single most important driver of growth will be the launch of several new products during the forecast period. 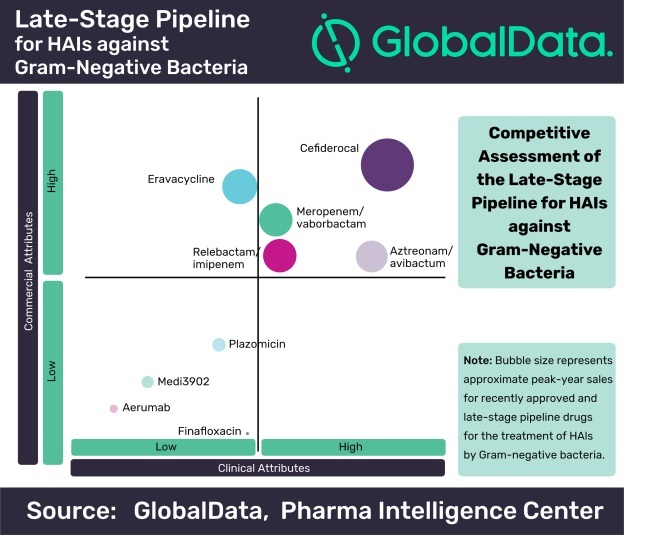 These novel drugs will not only provide additional treatment options, especially for HAIs with carbapenem-resistant Enterobacteriaceae (CRE), but will also drive overall market growth, since these products will have higher price points than the generic products currently dominating the market. The increased prevalence of antibiotic resistance, particularly of strains with resistance against carbapenems, will also stimulate growth, as treatment options for those infections will include novel, branded antibiotics with improved clinical profiles over currently available “last-resort” antibiotics, such as polymyxins. Despite the access to a broad variety of antibiotic classes and individual products, which are often highly cost-effective due to the availability of generic options, the market landscape for HAIs caused by Gram-negative bacteria is characterized by a significant number of unmet needs, both clinical and environmental. 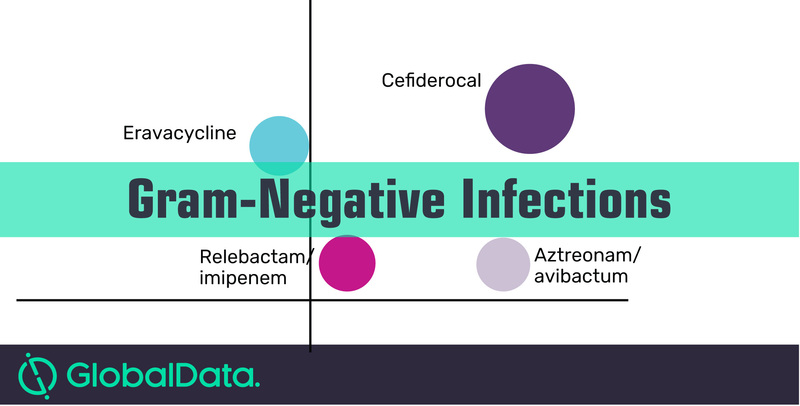 The main driver for the precipitous increase of clinical unmet needs, even after the launch of new products, is the adaptability of Gram-negative bacteria and their ability to evolve highly effective resistant mechanisms. This requires the continuous replenishment of the antibiotic pipeline to combat novel defensive mechanisms. The ability of bacteria to develop and spread the genes for resistance also underscores the need for the development of novel products targeting specific bacteria, permitting targeted therapy. Increased awareness of the problems caused by multidrug-resistant (MDR) bacteria has resulted in national and international programs to reduce the overall usage of antibiotics, especially of novel products with activity against MDR strains. GlobalData expects this awareness to counteract some of the growth opportunities in the marketplace across the 7MM.